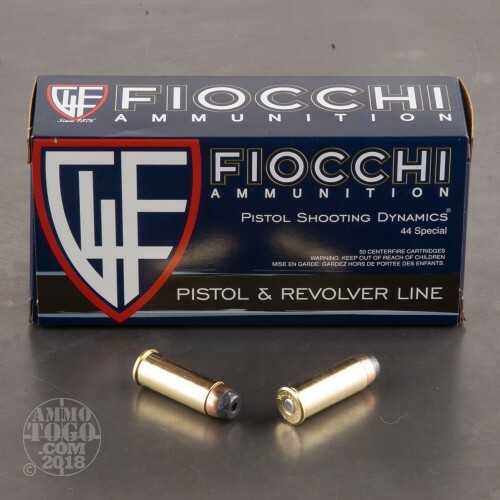 These rounds from Fiocchi are a superb choice for self-defense and light hunting with your favorite revolvers and lever-action rifles chambered in .44 Special or .44 Remington Magnum. 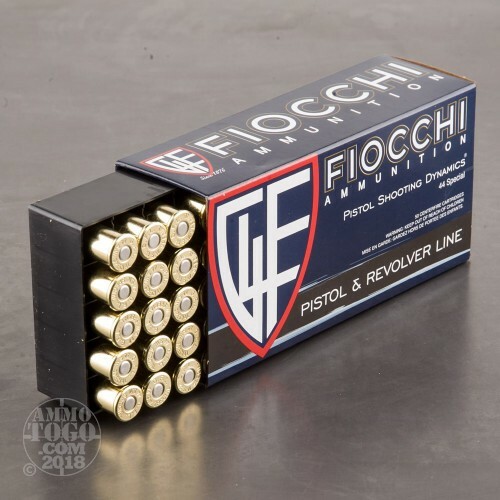 Fiocchi is seated in Lecco, Italy and maintains a close relationship with veteran competition shooters as well as world-renown firearms manufacturers; as a result this manufacturer rolls out high quality ammunition using production methods and inspection processes which have been reviewed and refined over the past 140 years. 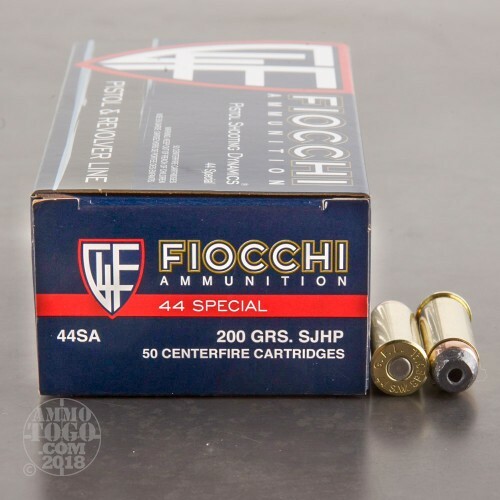 Each .44 Special round comes loaded with a 200 grain semi-jacketed hollow-point (SJHP) projectile which is common for the caliber and offers light recoil to experienced .44 Magnum shooters. 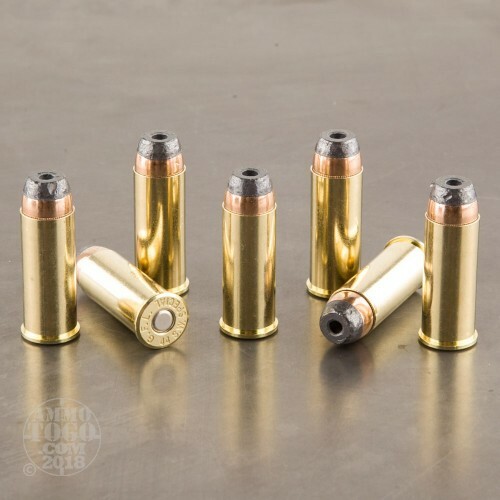 SJHP bullets feature an unjacketed surface which makes up the upper half of the exposed projectile and possesses a narrow-mouth hollow cavity. The prevailing copper jacket alongside the toothed cannelure allows the bullet to retain optimum weight for deep penetration alongside controlled expansion; this translates to damage being appropriately delivered to vital areas in hogs and two-legged predators alike. The projectile's cannelure also serves to prevent setback while rounds are in a chamber which preserves accuracy while reducing the chance for malfunctions to occur.